Life Doesn't JUST Go On... is the moving and heartfelt story of a young woman who finds it in herself to forgive her estranged alcoholic father just a month before his sudden death. 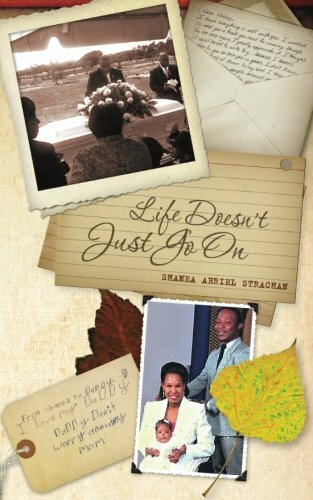 The story reflects on her life from childhood going into adulthood, up to the time of his passing. It evolves around an undelivered letter that the young woman wrote to him just a month before his untimely passing and her spiritual and life's journey following his death. Debut title from Shanea Strachan will cause one to reflect and consider one's own family relationships and the importance of grace and forgiveness, because our time walking together on this earth may be shorter than we think.